Not much done on the Fire Island Hosta Queen . 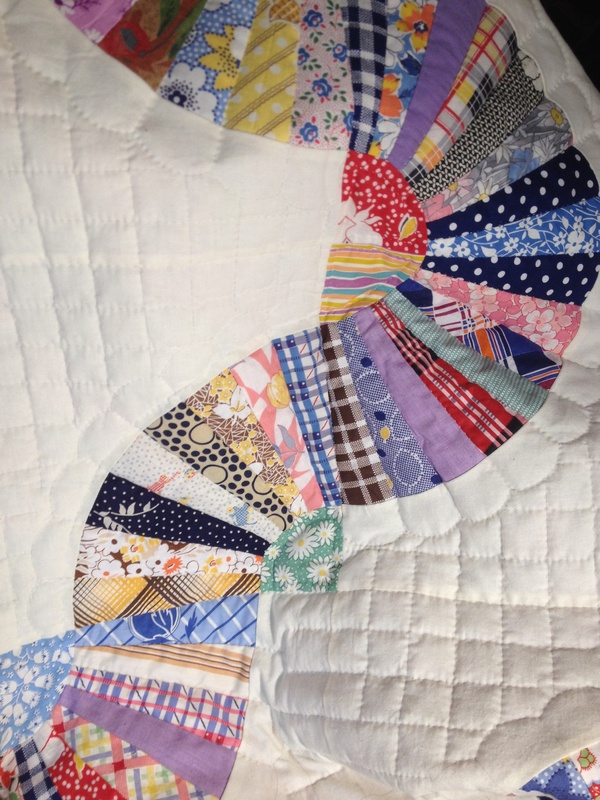 I did get the center all put together and started on the swag borders. 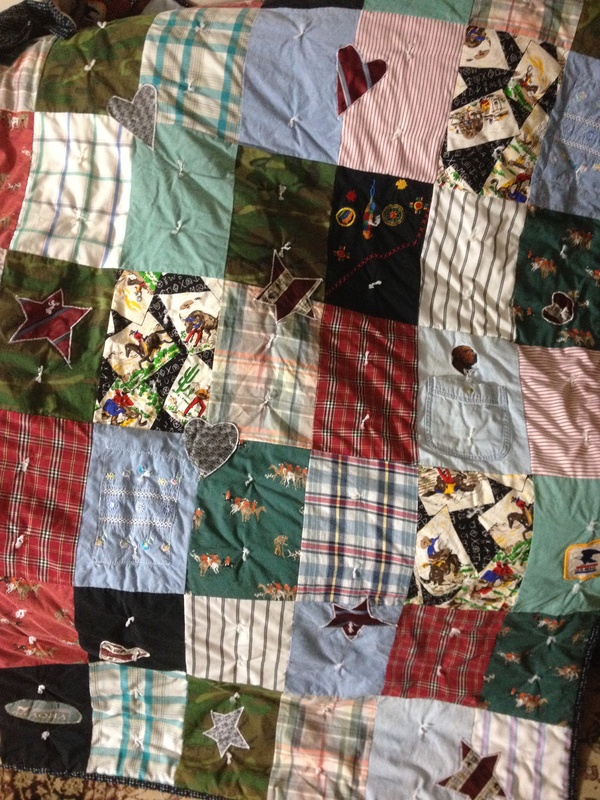 I also worked on ” Little Grammy quilt”. 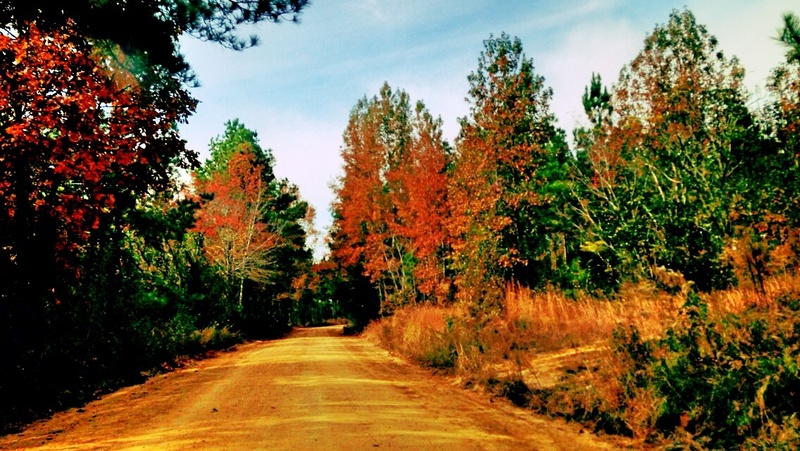 A drive down a Ga dirt road. 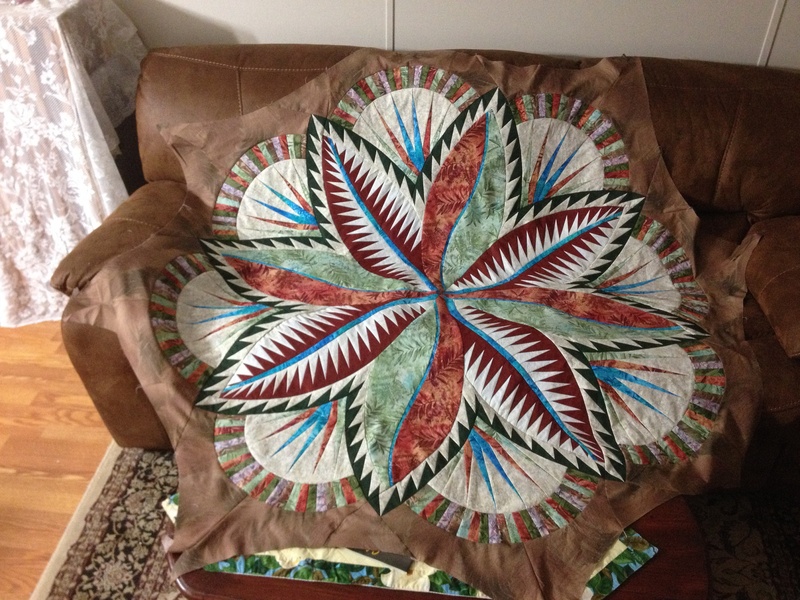 This entry was posted in hand quilting, Paper piecing, quilt and tagged Fire Island Hosta Queen, grandmothers fan, Handquilting on November 24, 2014 by Deb. 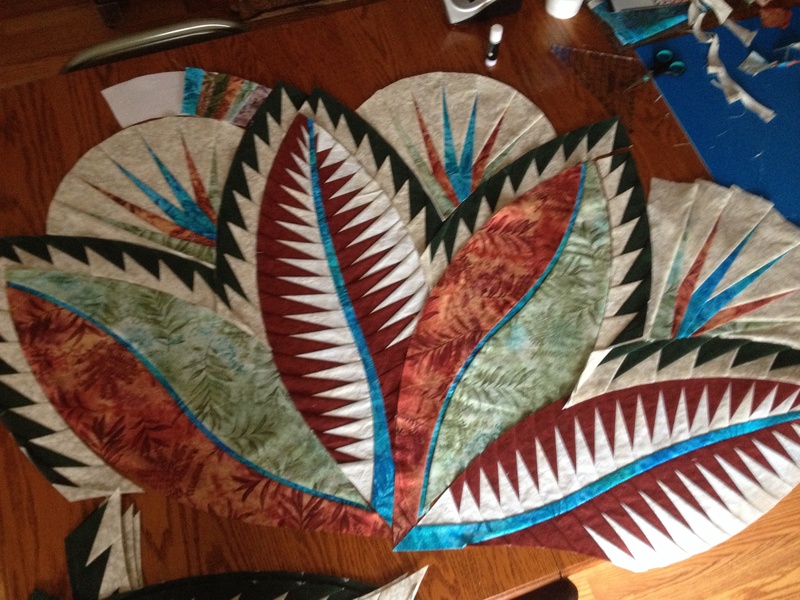 No sewing today ,I’ll post on that another day. 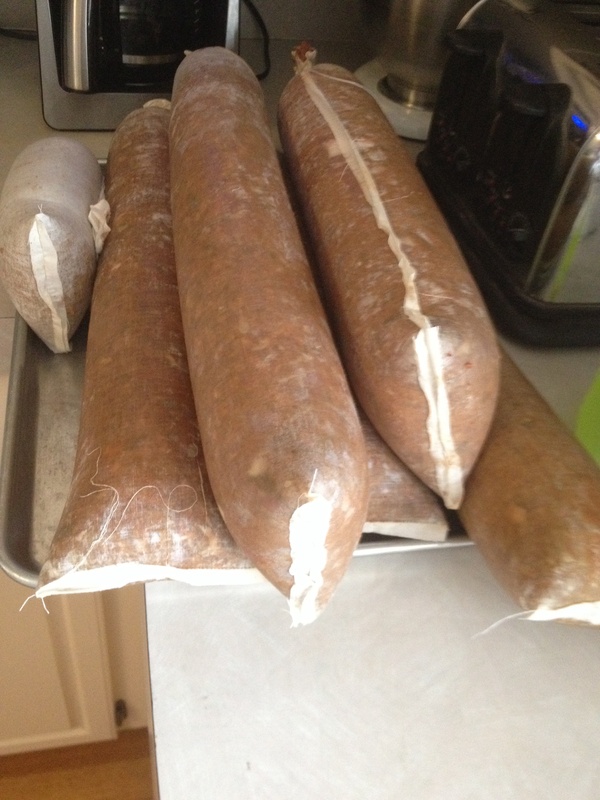 It is butchering time again.. colder weather, deer hunting,and pork only mean one thing…Sausage and deer bologna . My son who loves to hunt always supplies us with deer meat that to be honest I do not like in roast or in deer burger. 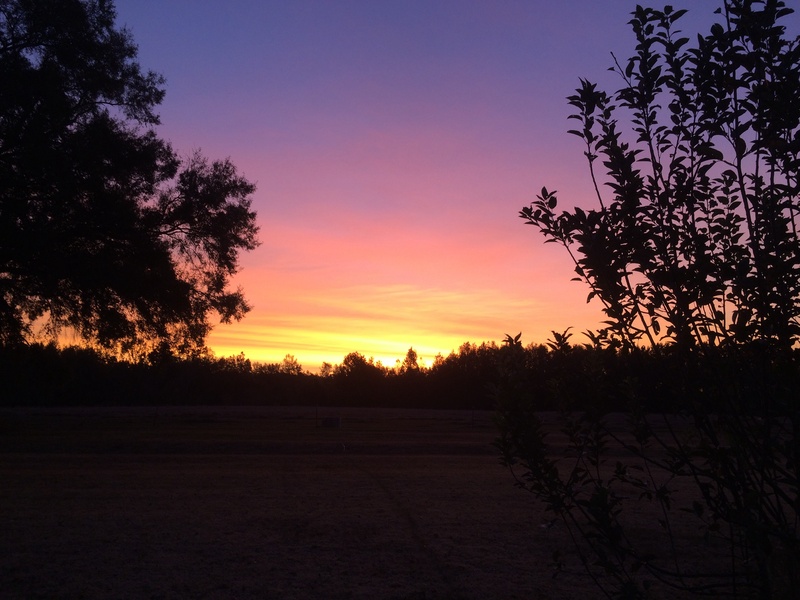 Deer bologna is so much better!!! Sliced thin then put between bread with tomato, lettuce and onion is wonderful!! 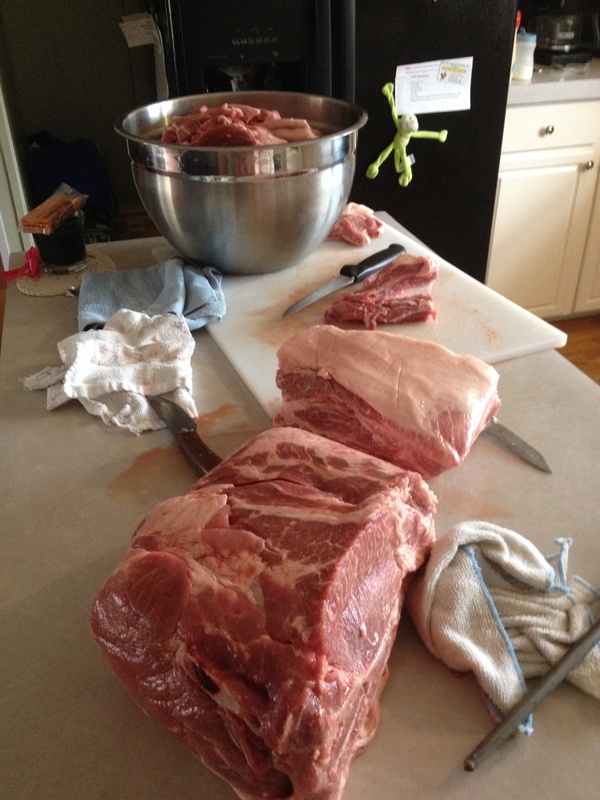 cutting up pork meat that will be add to the deer meat and also be made into sausage. mix well into meat then grind. 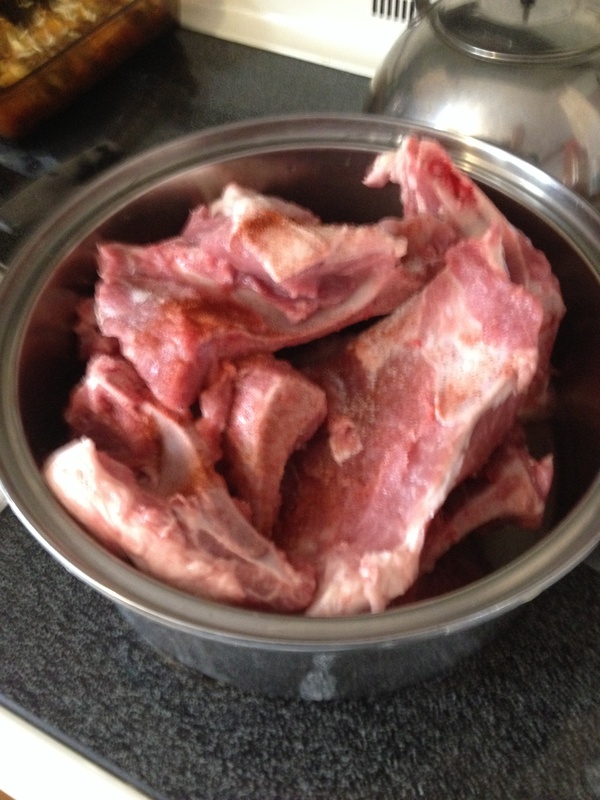 i put the bones of the pork into a pot and make a brunswick stew. If I have a lot of stew, I freeze for another meal. 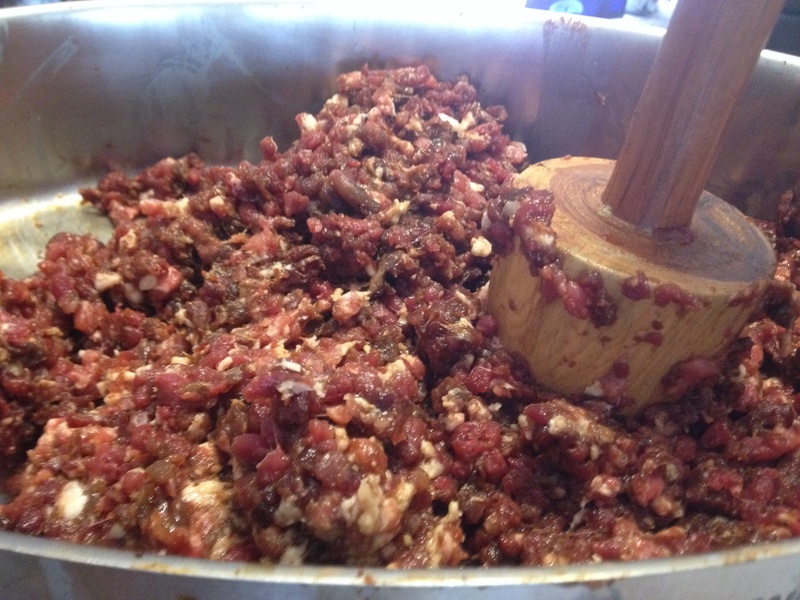 mix into your meat then let it set for a day.Grind. Stuff into bags and smoke. 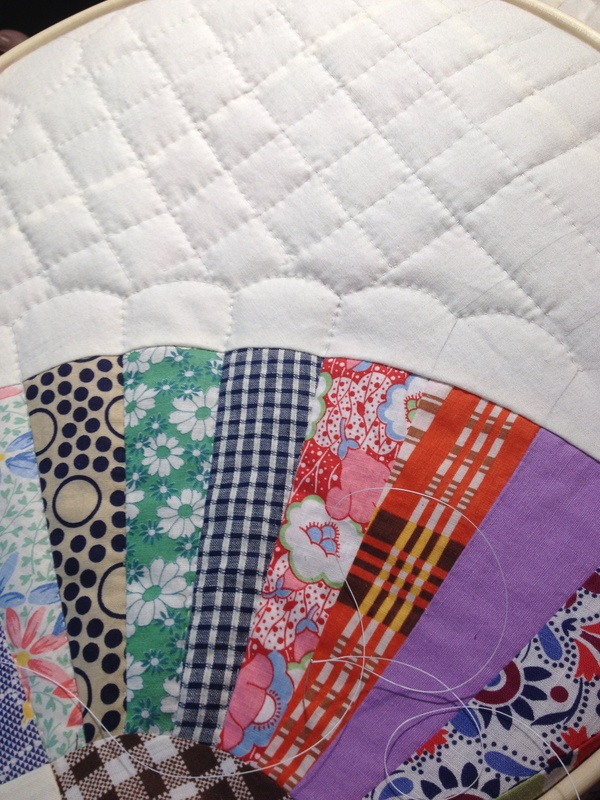 I sew my own bags.I use muslin. 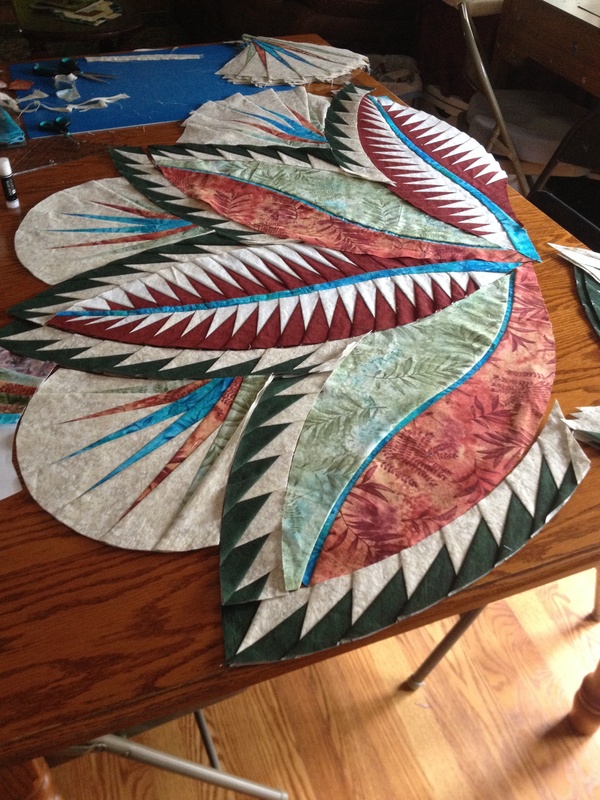 the size 10″ by at least 15′ .sew a 1/2′ seam on side and bottom. 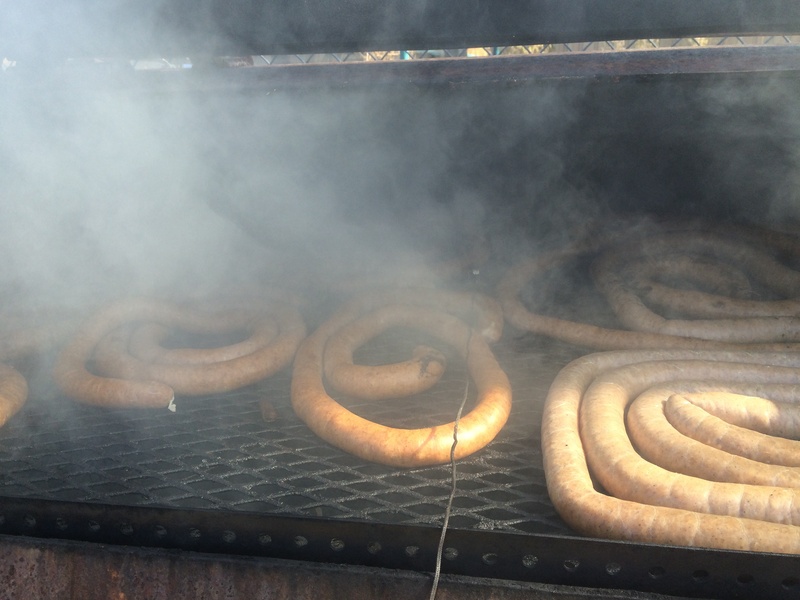 bags ready to be smoked. 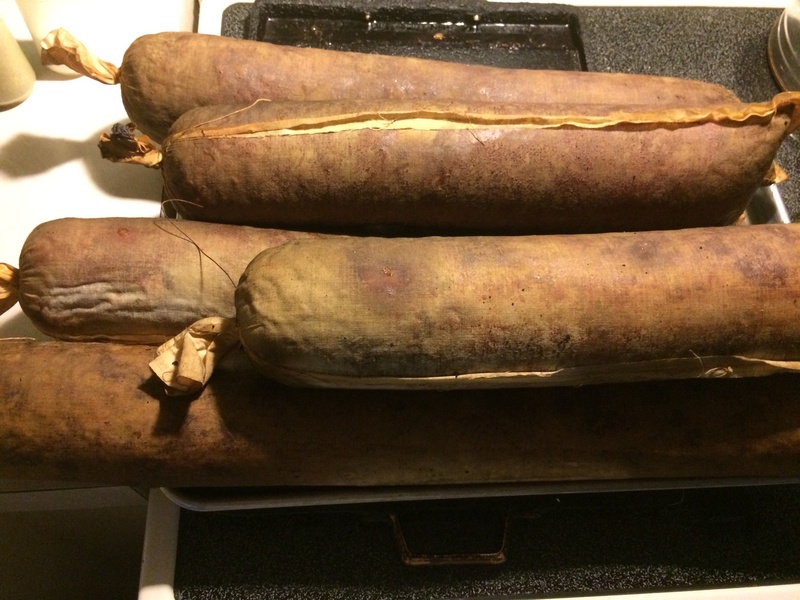 smoked bologna ready to be sliced and eaten! 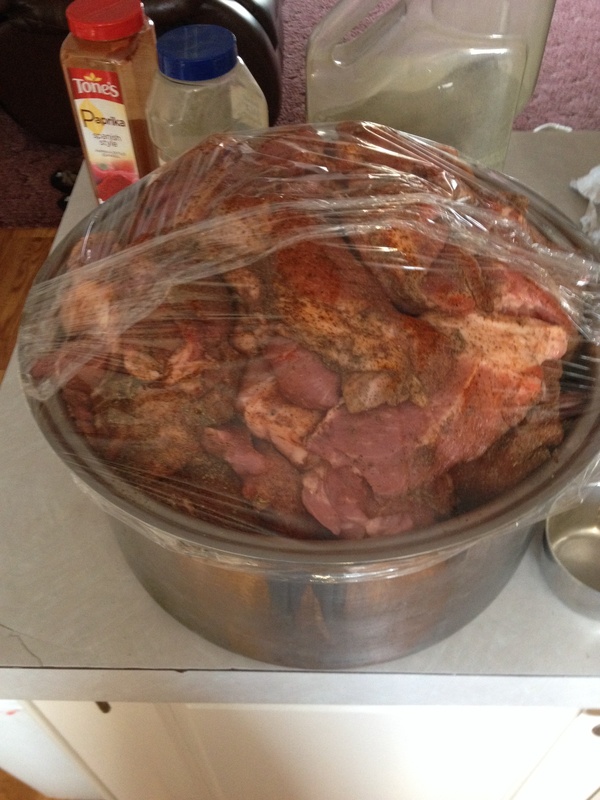 This entry was posted in deer meat and tagged butchering, smoked meat on November 16, 2014 by Deb. 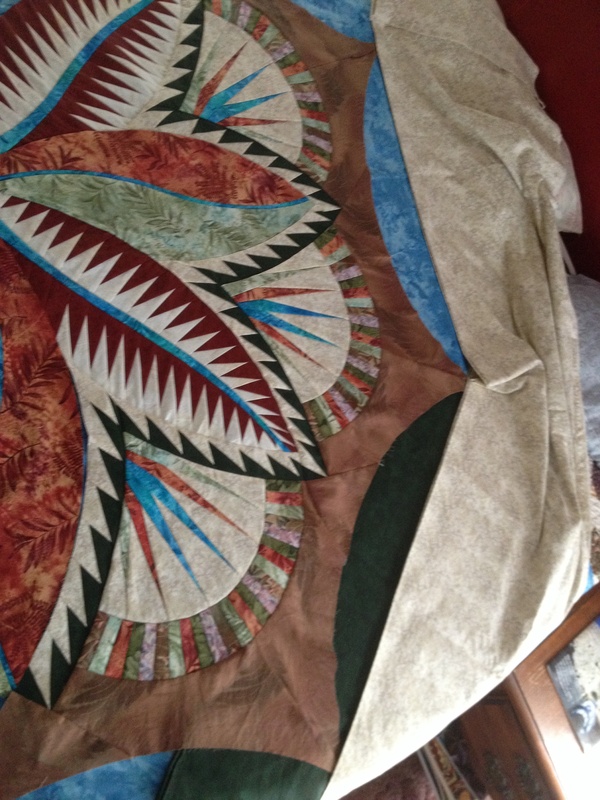 I have been working on this quilt every chance I get .. between washing, cooking ,cleaning,or any other interruption that comes my way! 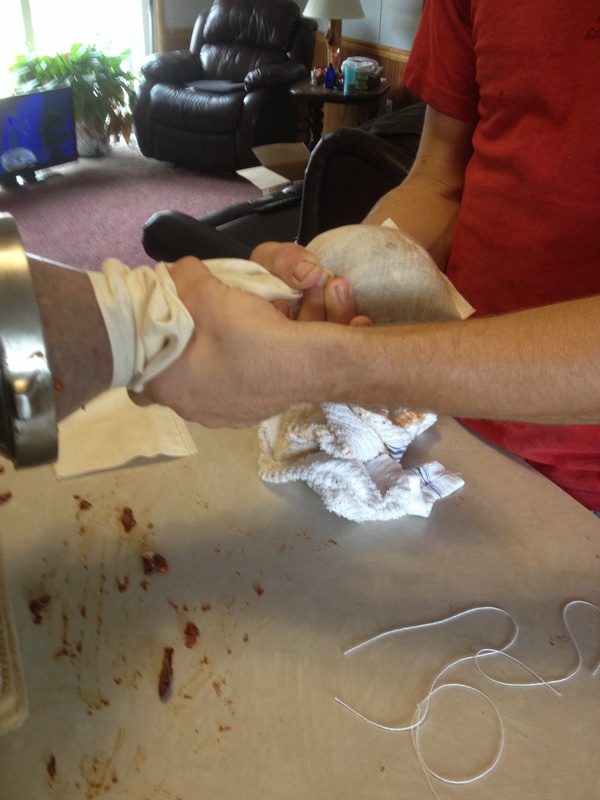 Here are some progress pictures. Was very undecided on next swag border color wasn’t sure if i wanted to do the cream ~ dark green, or the lighted marbled blue with the cream ..but I think I’ll go with the light blue to keep it bright. 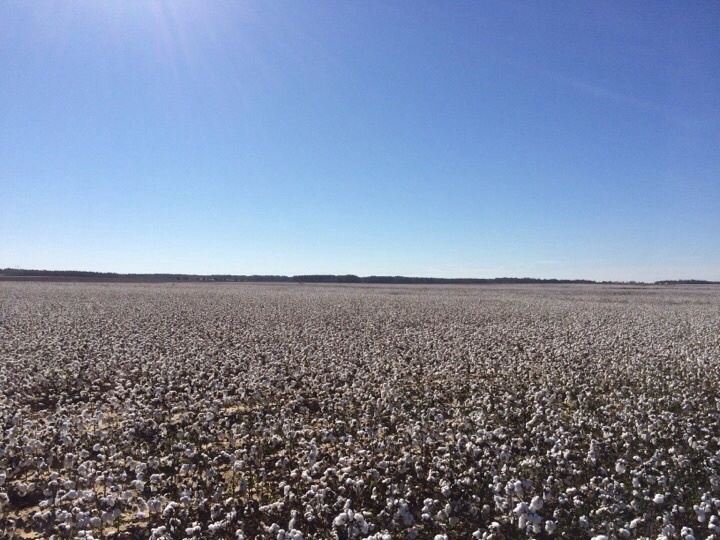 The cotton fields have been so pretty the last few weeks ,they look like a light snow fell over the field.This field is at least 700 acres. 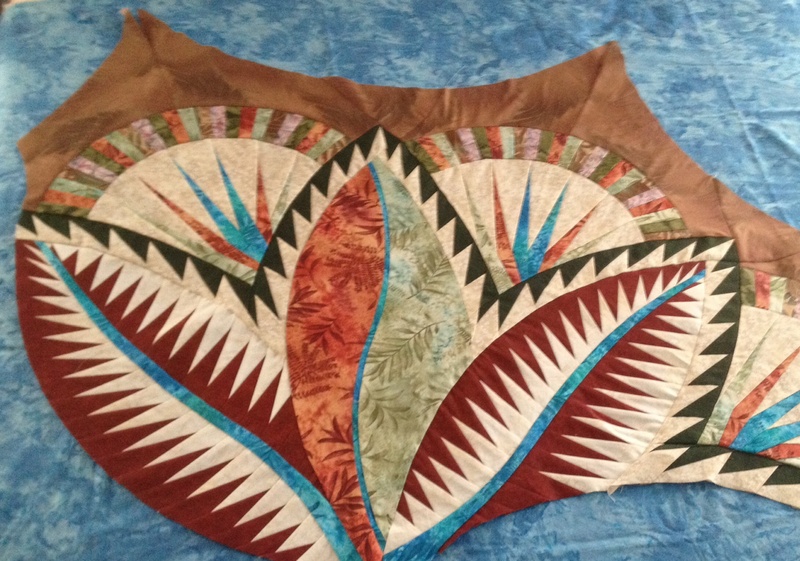 This entry was posted in Paper piecing, quilt, sewing and tagged Fire Island Hosta Queen, quilting on November 9, 2014 by Deb.